Investing in bonds entails considerably more complexity than stock investing. The debt market requires a learning curve for novice investors, especially in the market for individual corporate bonds. Unlike stocks, bonds often tend to be bought and sold in a closed world of experienced insiders and experts. The corporate bond market is, essentially, an institutional market, with little room for small investors. However, you can buy newly-issued corporate bonds from a broker, and older bonds on the over-the-counter (OTC) market. The corporate bond market has two distinct levels. The first, or primary market, represents new bond issues. When a corporation decides to sell bonds to raise capital, it negotiates deals with investment bankers and large institutional investors to place those bonds in the market. The pricing of these new issues, which are comparable to initial public offerings of stock, tend to be easier to understand. And everyone who buys a new issue pays the same price, known as the offering price. However, getting your hands on a primary bond offering is quite difficult, much like the difficulty of buying stock in an IPO prior to the start of public trading. Typically, you'll need to have certain relationships, ideally with a banker at one of the institutions that manage the primary bond offering. Small investors won't be able to play in this game easily. The secondary market involves the buying and selling of bonds after the initial offering. Smaller investors can access this market but should approach with caution. The secondary bond market consists almost entirely an over-the-counter market. Most trades are conducted on closed, proprietary bond-trading systems or via phone. The average investor can participate only through a broker. More importantly, the pricing of bonds on the secondary market can be very difficult to track and understand. If you're interested in buying corporate bonds on the secondary market, do enough research to know if you're paying a decent price for the bond. In particular, look at the sales of recent bonds to calculate what the "mark up" or "spread" is on a bond. The spread denotes the difference between what a bond broker paid for a bond and the price at which he wants to sell. Unlike with stock commissions, the spread is built into the price of a bond, which makes it nearly impossible for you to know how much profit the bond salesman makes. The Financial Industry Regulatory Authority, a non-governmental regulatory agency, now offers pricing information on recent bond transactions through its TRACE system, which can offer some visibility on spreads. Before you agree to buy a bond through a broker, look at the recent quotes for the bond in question or a comparable issue. Then make an approximate calculation of how much of a spread your broker is charging. After you've made a determination of what spread you're likely to pay, or what commission you'll pay if your broker doesn't actually hold the bond but promises to buy it for you in the market, your work's just getting started. Buying a corporate bond requires a much higher level of due diligence than buying a share of stock. Follow the advice of trade associations that monitor the market and research your financial professional thoroughly. The series of scandals among bond salesmen in recent years has led to increasing transparency in how the industry operates. Bit by bit, the bond market is evolving and beginning to resemble the stock market. Today it's possible to buy and sell bonds on a public exchange. 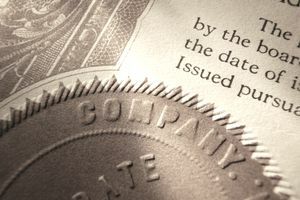 The New York Stock Exchange launched its NYSE Bonds system in April 2007, replacing the older Automated Bond System with something that works better for small investors. The number of bonds sold through NYSE Bonds has grown significantly since the launch, with new bond issues being added on a regular basis. Nonetheless, exchange-traded bonds remain a small percentage of the overall market. Estimates vary, but according to some, less than 15 percent of the world's bonds are available to trade on transparent, easily monitored exchanges. Bonds can be a wise investment, although prospering in the corporate bond market requires a considerable amount of diligence and effort. Consider bond mutual funds or government-backed debt as alternatives that offer the safety of bonds without the complications of buying individual corporate bonds.